West Pier striker Sean Exley smashed in a first-half hat-trick as the Saturday League Division One leaders powered to a 7-0 win at Newlands. Former Boro midfielder Jimmy Beadle gave Pier the early advantage with a couple of headed goals, then Tommy Barker made it 3-0 to Andy Spivey's troops. Exley then took centre-stage, smashing in a thunderbolt of a shot to effectively end the game as a contest, then he fired in a free-kick before completing his hat-trick before the interval. The only goal of the second half was a delicious lob from Sam Garnett as Pier secured their 13th win in as many league games. There were good performances from Chris Nelson and Niall Gibb for the visitors, while keeper Neil Thomas also made a couple of fine first-half saves. 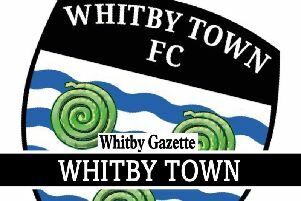 Edgehill kept in touch with the leaders thanks to a hard-earned 2-1 home win against a determined Filey Town side. Danny Collins opened the scoring for the home side on 20 minutes, but it took until the second half for the second-placed side to double their lead, with sub Luke Jenkinson, on for Collins, scoring a superb goal, smashing a fierce half-volley into the top corner. Liam Sugden pulled a deserved goal back for a Town side who never gave up and pushed Edgehill all the way. Edgehill boss Steven Clegg said: "Credit to Filey they made us work hard for the win, it was a tough match. "Our best players were skipper Joe Gallagher in central midfield and centre-back Kurtis Henderson." Brandon Catherall was impressive at right-back for Town. Hunmanby United also stay in contention after coming back from 2-1 down to win 5-2 at home to basement club Cayton Corinthians. Dan Baldry put United ahead, but a double from Isaac Sands saw Cayton take a 2-1 lead, player-boss Michael Dennis pulling off some fine saves to keep his side in front. Moving Ryan Baldry out of goal and up front seemed to spark United into life after the break with goals from Dave Wedge (2), Chris Duley and Lee Micklethwaite securing the win for the home side. Dan Baldry was the man of the match for the victors in central midfield and Dennis the star man for Cayton.